Microsoft offers a tool on their website which allows users to manually download an ISO file of Windows 10. This way users can install the new operating system whenever they want. The update is free for Windows 7 and Windows 8.1 users. Not everyone appears to have received an update yet, even if they’ve reserved it through the Windows 10 icon in Windows 7 and Windows 8.1. For those that can’t wait, Microsoft offers a tool on their website from which users can start the Windows 10 setup. The tool downloads an ISO file and users can then opt to download Windows 10 whenever they want. The ISO file is about 3GB and from the tool users can choose whether they want to update their PC right away or create an USB stick to upgrade another PC. 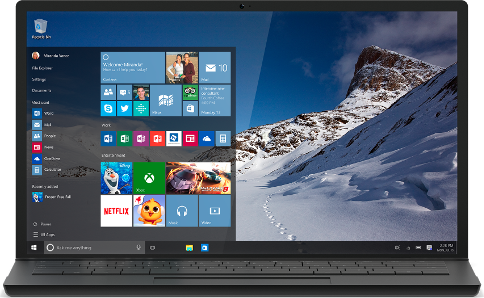 Microsoft released Windows 10 today. The latest version of the desktop operating system is the first variant offered for free to users of older Windows versions. The new Windows version brings back the start menu and the Redmond technology giant has replaced Internet Explorer by Edge, a new browser. Also digital assistant Cortana is part of the operating system. Reminder: it’s Windows 10 Day!